​Well, we have found it folks. Yes, we've officially found the worst attempt at a Twitter troll in the history of the social media site. Whoever is running Washington's Twitter handle should be relieved of their duties. 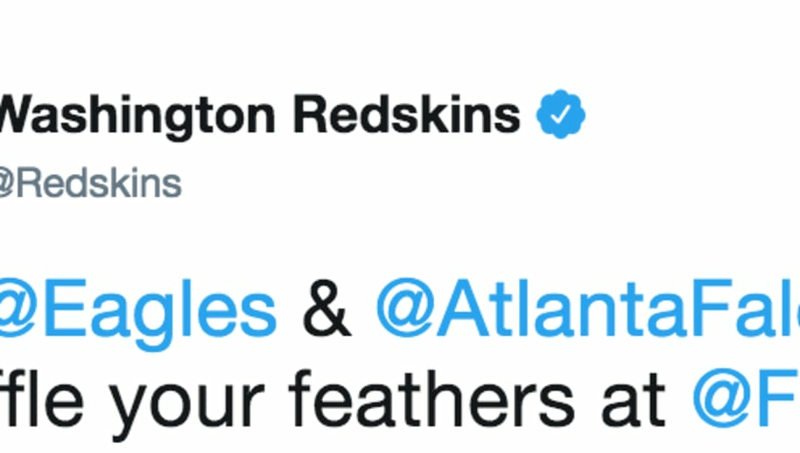 Is this what the Redskins want to be known for? On Opening Night, the Falcons and Eagles are battling it out, yet the Redskins are the ones taking a MAJOR L this evening. ​​I don't even know where to begin. I'm nearly speechless. What did they think would be the result of firing off this cringeworthy tweet? People on Twitter are mentally vomiting over it. This Jonah Hill clip will never get old. Great, you've even made Larry David hit the deck too. Nope, none of us do. We can only hope the Redskins will perform a little bit better on the field this season. For now, their Twitter game seriously needs to step up.